Boxing Girls of KabulA group of young Afghan women strive to become world-class boxers, training without the benefit of even the most basic facilities at the national stadium, where only recently women were executed by the Taliban. 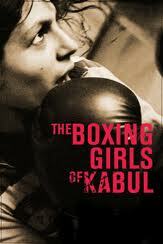 The Boxing Girls of Kabul reveals a compelling journey of both personal and political transformation, and illustrates the power of fighting for what you believe in. 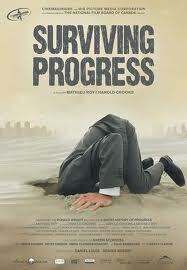 Surviving ProgressRonald Wright’s bestseller A Short History of Progress inspired this cinematic requiem to progress-as-usual. Throughout human history, what seemed like progress often backfired. Some of the world's foremost thinkers, activists, bankers, and scientists challenge us to overcome progress traps, which destroyed past civilizations and lie treacherously embedded in our own. Pink Ribbons Inc. 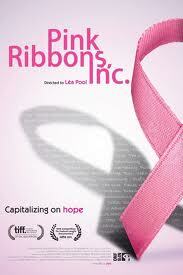 Directed by Léa Pool and produced by Ravida Din, Pink Ribbons, Inc. is a feature documentary from the National Film Board of Canada that shows how the devastating reality of breast cancer, which marketing experts have labeled a “dream cause,” has become obfuscated by a shiny, pink story of success. One moment her life was idyllic…then he was gone. Desperate to overcome the paralysis of grief that has gripped her life since the loss of her husband in a tragic hunting accident, Kimberley Piper takes the challenge. But can a closer walk with God truly fill the void? Kim is determined to find out. What begins as a straightforward rescue mission rapidly becomes complicated. Beverly Fox was born in Ontario and educated in England. She currently resides in B.C., with her husband, their three children, and a menagerie of dogs and horses. To date only published as a poet, she is excited to now debut her first Christian novel. 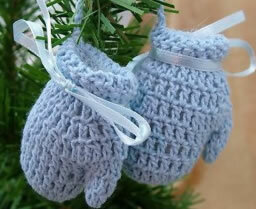 100 Mile will be hosting a winter craft and our Mitten Tree will be setup so patrons can decorate our tree with mittens, scraves, hats and other winter items that will be donated to a local organization. Doris and John were married in 1949, and two years later migrated from the world they knew in California to an isolated ranch near Big Lake in British Columbia’s Cariboo. 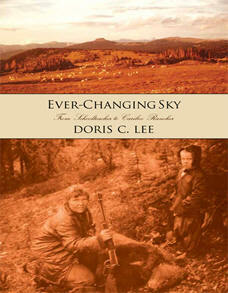 In this compelling memoir, Doris Lee leads us through stunning mountain passes on horseback, comes eye to eye with grizzlies and cougars, and provides deep insight into rearing and protecting two young boys in the remote wilderness. The brutal winters of the Cariboo and the neverending demands of raising livestock shape her soul and challenge her to become stronger than she ever thought she could. Published by Caitlin Press. 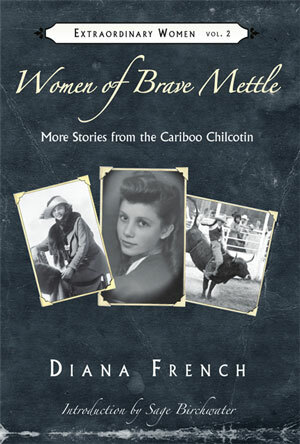 In this much-anticipated second volume in the Extraordinary Women Anthology series, Diana French follows up on Gumption and Grit with more stories of the women who have contributed, or who are still contributing, to the vibrant mosaic that is the Cariboo Chilcotin. The area has more than its share of remarkable women, from educators to rodeo stars, doctors to playwrights, administrators to environmentalists, artists to politicians. Diverse as they may be, the women of the Cariboo Chilcotin share their ability to meet all challenges head-on and do what needs to be done with love, strength and humour. Books will be available for purchase, as well as author signing and book talk. Bestselling author Chris Czajkowski returns with more revelations of life in the far reaches of the Chilcotin. After nearly three decades of wilderness dwelling far from neighbours and roads, with the nearest community accessible only via float plane or days of hiking, Czajkowski purchases a derelict homestead with rough road access at Ginty Creek, an hours drive south of Anahim Lake. 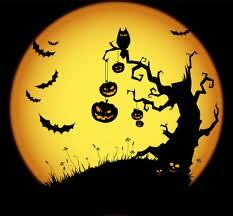 The 100 Mile Library will be hosting its’ annual Pumpkin Carving event for children aged 5-12. The craft will be held in the library’s programme room. 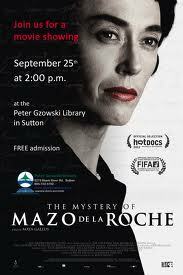 Please call the library to register (250-395-2332) or come to the front desk. Space is limited. Wednesday October 31 - 3:30-4:30pm. Saturday October 27 - 1:00 - 1:45 in the program room. Stories are geared for children in grades 2-4 but all are welcome to attend. Saturday October 27 - 2:00 - 3:15 in the program room. 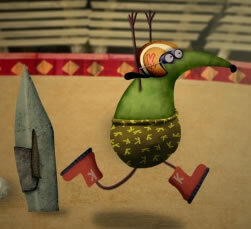 Join us in the programme room immediately following Storytime to see the delightful Fall children's collection of National Film Board's shorts. Includes Rose & Violet, Nebule, the Magic Flute and The Sound Collector. Local author Cindy Brandner will read from her most recent book, Flights of Angels. This book was the winner of the Global e-book award for Best Historical Fiction 2012. 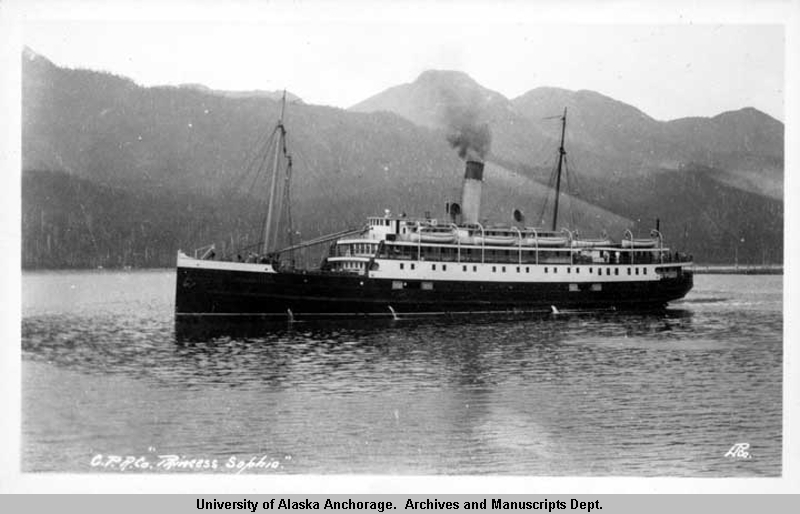 This National Film Board documentary explores the events surrounding the greatest maritime tragedy in the history of the Pacific coast, the sinking of the Princess Sophia. Archival photos, 3D animation, exclusive interviews and underwater photography relate an important chapter of maritime history, while vividly portraying a place and time. Join us for an exciting conversation with Ordell Steen and Anna Roberts, the authors of the recently published Stepping into nature: A guide to the Williams Lake River Valley. The presentation will introduce you to the natural world of the Valley, including its amazing geological features and the many plant and animal species that can be seen in its diverse habitats. Through photographs, stories and descriptions, the authors will show that the Valley is truly an exceptional recreational and nature-viewing resource on the edge of our city. 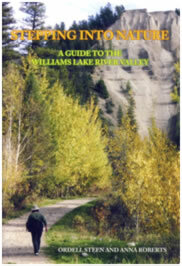 Copies of the book will be available for purchase, with all proceeds going to the Williams Lake Field Naturalists. Forest Grove Branch, Tuesday September 11th - 6:30pm.